Both boys are at that age now where they are starting to share – and argue – over toys; though they have plenty to be going along with they always want what the other has, of course! 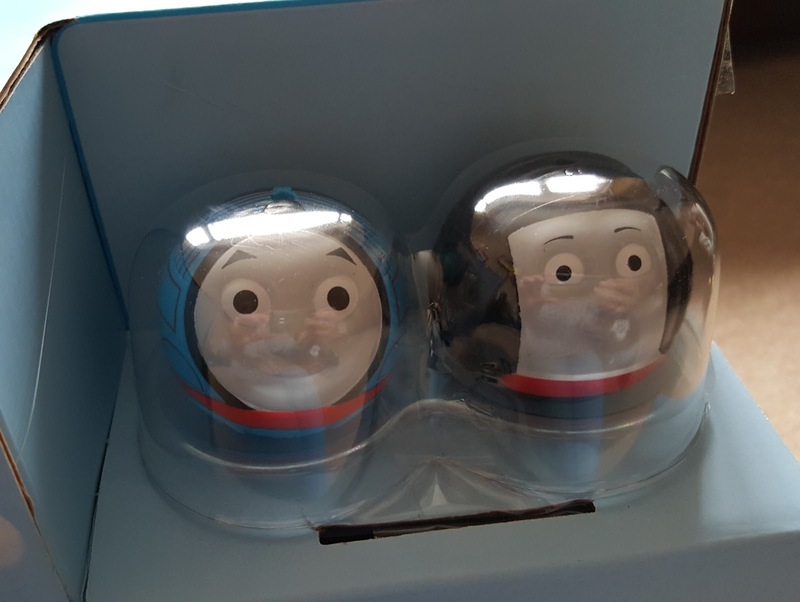 N has only just really started showing an interest in cartoon characters and will play with anything, though he is really into J’s old toys now rather than his baby ones – well I suppose he is a fully fledged toddler now rather than a baby! 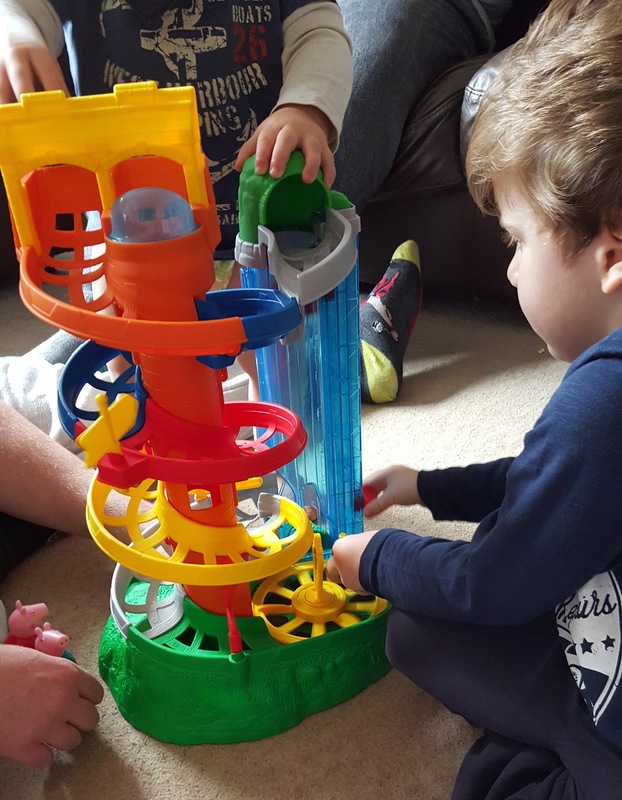 He was recently asked to review this brilliant toddler toy, perfect for newly instated toddlers! It is part of the Thomas & Friends range from which J already has a couple of toys, but this is N’s first rather than J’s ‘hand me downs’. We waited for Daddy to arrive home from work before putting it together as it looked a bit complicated for me, but after following the detailed instructions it only took around 15 minutes to construct. 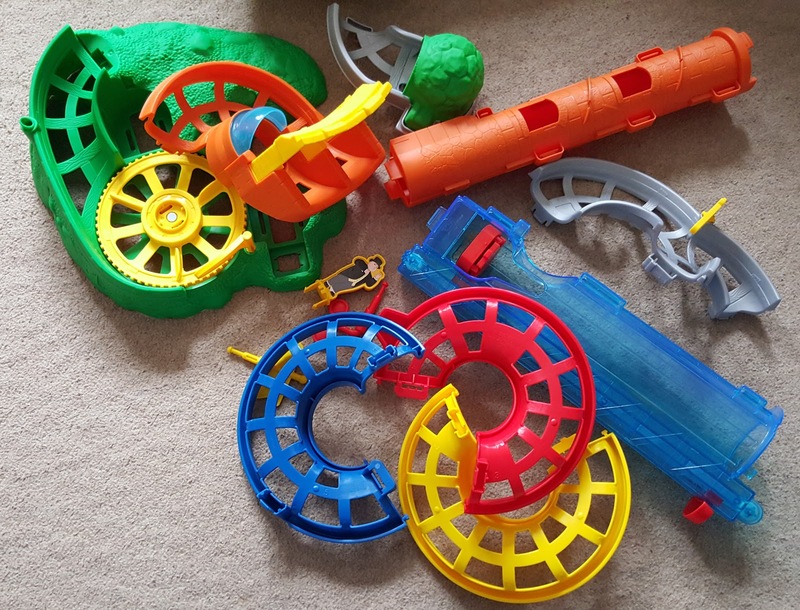 I like the fact that once the parts are connected they can’t be pulled apart as we have had similar toys where the boys have just kept doing this. It is very sturdy too and can withstand N pulling it around to every room he goes in! 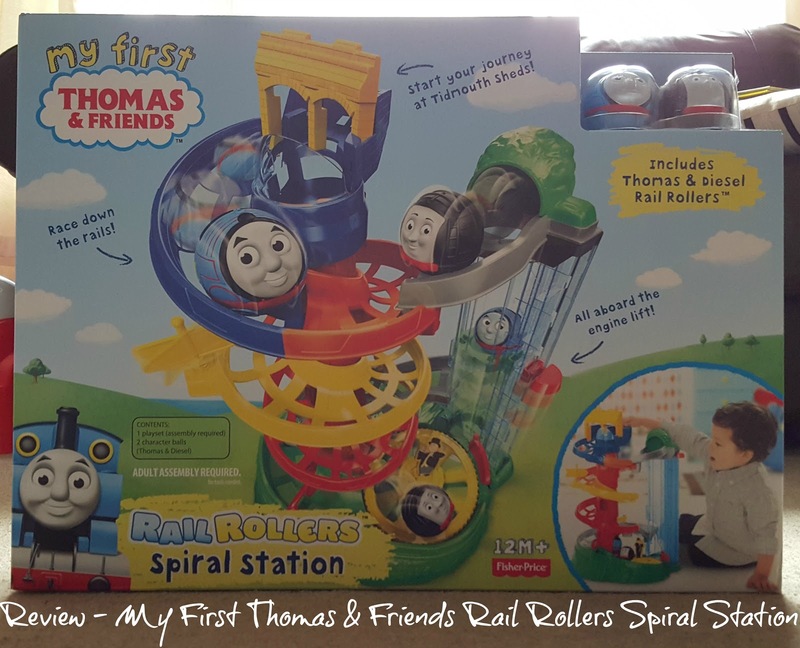 The Spiral Station comes with a Thomas and Diesel Roller but others can be purchased separately. 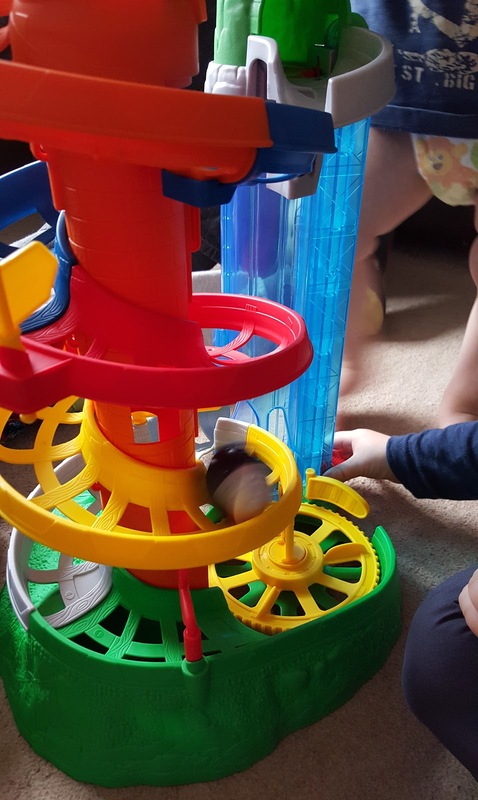 There are many different features for motor skills and investigation, such as the large spiral track leading to a roundabout, the large tower drop, and the tunnel with lift which the child operates themselves by using the lever. The gates move to change the direction of the Rail Rollers toys, and the signs spin too. N loves to drop the Rollers down the tower. It’s interesting to watch him try to figure out where he wants to drop them next! This toy is great for younger toddlers such as N, but J loves it too at 3.5 years old. I must say that even hubby & I have lots of fun playing with it as well so purchase some more Rollers and it’s great fun for the whole family! It has pretty much been the go-to toy since it arrived and I think it will last a good while too. It is a little more than we may usually pay for toys but it is definitely worth the RRP for the robustness and the play value. Definitely a great value thumbs up from us. We were sent this product free of charge to review. All thoughts and opinions are honest & our own. My son would have loved this – he loves ramps and trains! Bless him, it really is brilliant and they still love it!